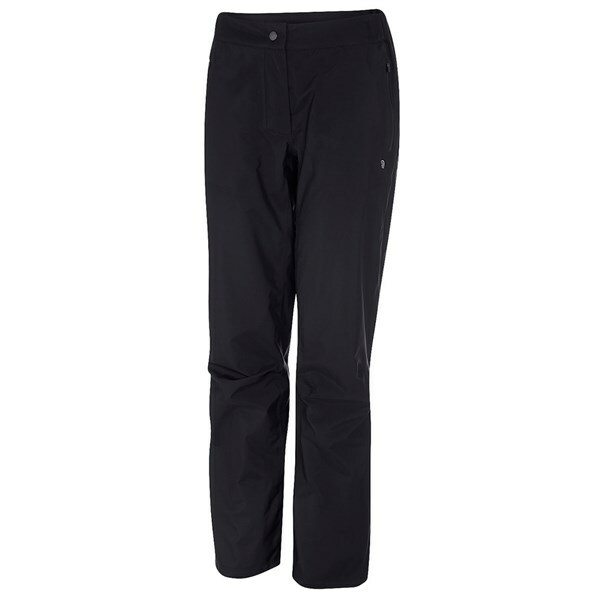 The Galvin Green Ladies Astrid Paclite GORE-TEX Trouser has been created to deliver exceptional protection and style for those not so nice days on the golf course. 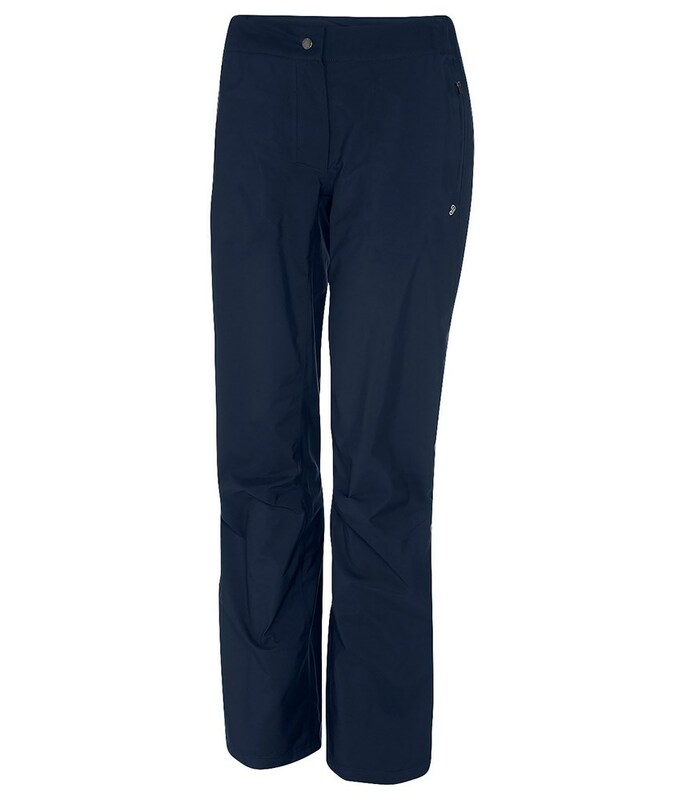 Designed specifically around female golfers, the ladies Astrid GORE-TEX Trousers will enhance your every movement and allow you to bend and swing without restriction as the knees have already been pre-bent. 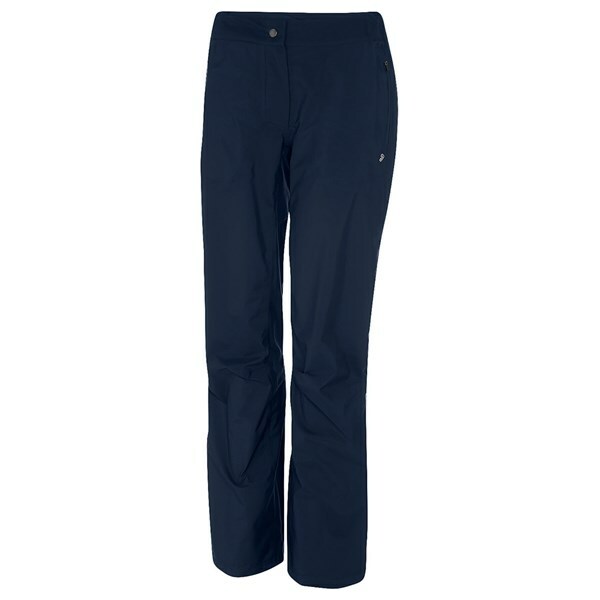 The use of GORE-TEX in the Paclite technology helps reduce the weight of the trousers and give you 100% waterproof and wind protection. 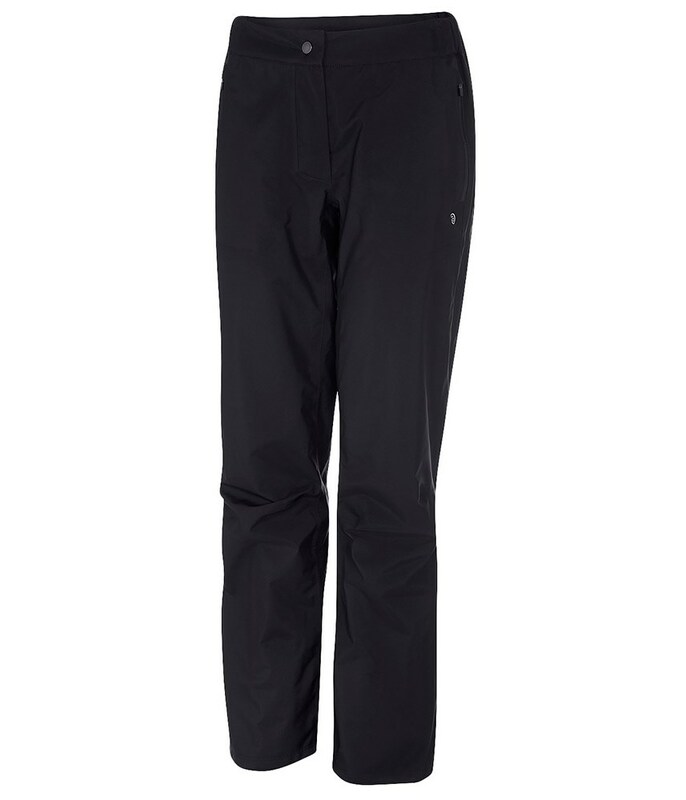 GORE-TEX is also highly breathable and moisture-wicking, giving you the best possible on course performance. The great thing with the Paclite products is that when you are not using the garment it is packable and takes up hardly any room and adds little to no weight to your golf bag. An elasticated waistband that features a traditional fly opening and leg openings will not only provide a trouser like fit but allow you to put on and remove with minimal fuss while standing up. An additional ankle width adjuster will help to streamline the profile for a preferred fit.